This question requires a fairly lengthy explanation and some background. I was born into a Christian family. While we were less fundamental or fanatical than some, we were very active in our church, our family life focused on Christianity, and we were brought up to believe that the Biblical God is the truth, and that following Jesus was the only way to happiness in life and to an afterlife in heaven. As a child, there was no doubt in my mind that God existed and that I had a personal relationship with him and his son Jesus. 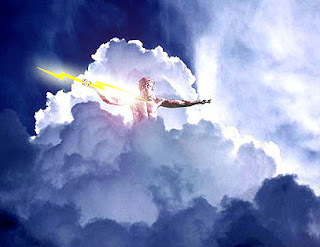 I believed that this man, who was also God, had lived on earth as described in the Bible, had been executed by the Romans, and then had risen from the dead as part of a divine plan for human salvation from eternal death. It is likely safe to assume that most who read this will be familiar with the sorts of things I believed. My actual belief in the existence of God went on for a very long time, well into adulthood. But even as early as my teens I started to have big problems with the way Christianity was presented to me. For one, I was embarrassed about Christianity. (In retrospect, of course, this likely reflects my sub-conscious disbelief. After all, why would someone be embarrassed to believe something that they know is true). In any case, questions started to arise. Difficult questions for which I had no answers. In addition to that, once I was an adult and responsible for my own life, I stopped attending church on a regular basis, which likely provided me with the distance from Christianity that I believe is necessary for anyone to make the move away from their religious upbringing. Christians often view this sort of thing as a weakness of faith, or a drifting away due to apathy, and in my experience they tend to guard against it fervently and shun those who explore outside the faith. This is the very reason it is so difficult to leave a religion behind, because most people don't ever give their mind time and space enough to consider their religion objectively. But, for many years as an adult, even though I no longer attended church, even though my friends were all non-religious, I still actually believed in all the pillars of Christianity that I grew up with. And I often worried about my future death and the chance that I would spend an eternity in hell if I didn't get my spiritual act together. Occasionally, usually when I was with family, I felt guilty about my lack of religious zeal and made some sort of half-hearted self promise to change. This went on for some years in my early adulthood. Not much changed for quite some time in my religious beliefs, and it is possible that I could have drifted along like that for the rest of my life. But some factors in my life precipitated further change. Firstly, and perhaps most importantly, I think I have an inquisitive mind. I want to know the truth. I am not satisfied just telling myself that no one really knows the answers to certain questions such as the existence of god. I think that, ultimately, anyone who is very inquisitive (and honest with themselves) must in the end have a problem with their religion. I found that Christianity demanded that I ignore a number of difficult questions. Or, if not outright ignore them, eventually come to an acceptance that the answer to them might entail some sort of magic, handily taken care of by our God. In any case, this natural curiosity spurred on a number of questions about my religion that I had difficulty answering logically. A major question I had was why were Christians (and people of many other religions as well) not encouraged to really examine their beliefs objectively? Why not "step outside" of Christianity and look at it rationally? Surely any truth will stand up to rigorous examination, so what are Christian authorities afraid of? Why were we as Christian children taught that to even question our faith could be considered sinful and therefore deserving of death? Surely if god did exist, he would want followers who had examined their belief in him carefully. Yet Christian (and other religious) doctrine is full of suggestions that weak faith (really another term for questioning things) came from the devil. One should guard against it and stand firm when those doubts (questions) arose. Another difficult question was the one of the afterlife. If we were to "go" to heaven or hell, then there would have to be some part of us that actually survived death in order to be there. So, which part of us would that be? Much of our personality is mapped out through neuroscience. Indeed people's personalities do sometimes change as a result of brain trauma, indicating that our very persona is only an expression of the physical structure of the brain. Our ability to feel pleasure or pain depends on the physical existence of a nervous system. So then, isn't the description of who we are dependant on our physical existence? Wouldn't god have to magically re-create us physically in order for us to exist, with some recognizable facets of our current persona, to be able to exist in an afterlife? Sure, a magical god could do that, but that model was neither logical nor rational. As soon as I permitted my god to be a non-rational being, then ANYTHING was possible. Why, the world could have been created yesterday by a god who uploaded all our memories. Wasn't that just as rational and likely as a god who would re-create us after death (rather than leaving us non-existent for eternity of course) just so we could either enjoy heaven or suffer in hell? Like a child taking the butterfly wings off for the first time in the deep end of the swimming pool and realizing that it can indeed float without them, I considered that the world might work just fine without a god.Secondly, I studied science in university. During many years of university scientific education, I was forced to look at the world more and more rationally. I was trained to try to put aside my biases, to examine the evidence around me and then to draw a conclusion based on the observed evidence, rather than to start with a conclusion (or even a pet theory) and try to examine the evidence in light of that conclusion (or try to make the evidence fit the pre-conceived conclusion). More and more I realized that this was the process that allowed humans to gradually leave behind superstition, and examine the world objectively and actually understand the reason for natural phenomena. This seemed to be in complete contrast to the religious indoctrination I had received as a child. In that case I was encouraged to hold strong to my faith no matter what evidence came to light. If it appeared from time to time that god had abandoned me, then that was only a test of my faith. I should stubbornly hold firm in my beliefs, despite overwhelming evidence to the contrary, and I would eventually be rewarded. Imagine where we would be scientifically if scientists practiced that way. Thirdly, I started to encounter more and more Christians who believed all of the Bible literally. Though I grew up in a religious environment that was fully supportive of the authority of the Bible, much of it was taken figuratively. But now I started to engage with people who actually believed that the earth was created in six days less than 10,000 years ago, and who believed that a global flood to the height of Mount Everest happened within the past few thousand years. I knew this things to be untrue, given the scientific evidence to the contrary, and I've never been tempted to take those parts of the Bible literally. But, for the first time I started to ask myself why some of the Bible should be taken seriously if other parts of it were clearly complete fabrications? Why should I believe the parts of the New Testament that were critical to the Christian faith if much of the rest of the Bible could be discarded as allegory? Could it be that the whole thing was just fictional writing very loosely based on some events that bore little resemblance to the Biblical descriptions of them? Fourthly, I began to read a number of books that looked at religion in a different way than I was used to. I read all the usual atheist-written best sellers such as Richard Dawkins' The God Delusion, Christopher Hitchens' God is Not Great, Sam Harris' The End of Faith, and Daniel Dennett's Breaking the Spell. In addition I read In Defense of Atheism by Michel Onfray and Why God Won't Go Away by Newberg, D'Aquili, and Rause. All of these books helped me examine the religion of my upbringing much more objectively. But a couple of other books had the most profound effect on my religious thinking. Jared Diamond has written a couple of books called Guns, Germs, and Steel, and The Third Chimpanzee which are relatively scientific examinations of the history of the human species. In these books Diamond describes some of the processes of human evolution and development that lead to differences in agricultural and technological advancement that occured in different places around the globe. By examining human history so carefully, one is forced to either reject the science outright and cling to the creation story in Genesis, or to accept that no god played any sort of role in human development over the past few tens of thousands of years. This, of course, doesn't rule out gods altogether, but it does very much weaken the meddling, prayer-answering god of the Bible. I also read a book called Under the Banner of Heaven by Jon Krakauer. The book basically follows two stories: a general history of Mormonism and a specific case of murder in the 1980s by two Mormons who believed they were instructed by God to perform the murders. I knew virtually nothing of Mormonism prior to reading the book, but it served as a striking example of how religion can cause people to believe the unbelievable. The religion is clearly a fabrication from 19th century America, with roots that are distinctly American in culture. Yet, there are millions of followers around the world, in what I can only understand as blind faith. The book illustrated the strength of religious influence, and how humans clearly yearn for some meaning to their life, which often seems to be filled by instructions and commands by a person in power – or a religion. I had met a few Mormons, and they seemed as convinced that their religions was true as any other religious person, including the Christians I had grown up with. Yet there was no doubt in my mind that the entire religion was a fabrication. If a religion could essentially be constructed by one man in the relatively modern times of the 19th Century to a point that millions of people worldwide were followers, how much more possible was it that a religion could have developed 2,000 years ago in a time when the availability of information was incomparably lower than in the modern era? (Literacy was lower, formal education was rare, books (at least as we know them now) and newspapers were non-existent). And I shuddered. I felt I was slipping off the raft. I thought, ‘Okay, calm down. Let’s just try on not-believing-in-God glasses for a moment, just for a second. Just put on the no-God glasses and take a quick look around and then immediately throw them off.’ And I put them on and looked around. I’m embarrassed to report that I initially felt dizzy. I actually had the thought, ‘Well, how does the Earth stay up in the sky? You mean, we’re just hurtling through space? That’s so vulnerable!’ I wanted to run out and catch the Earth as it fell out of space into my hands. And then I remembered, ‘Oh yeah, gravity and angular momentum is gonna keep us revolving around the sun for probably a long, long time.'" I can relate to some of this description quite well. In addition to what she describes, my situation was complicated by the fear that I might die while I had the not-believing-in-God glasses on and go to hell for eternity just because I happened to die while I was trying out atheism for 30 minutes. It was a bit like coming up to a train track and thinking, ‘I need to cross the tracks, but what if the train comes along out of nowhere and mows me down just at the moment that I step across?’ When I finally overcame my fear of being annihilated in a moment of fury like an Efrafan rabbit, and stepped gingerly onto the tracks, my whole perspective changed. Instead of looking up the track in fear of an oncoming train, I looked down at the tracks in detail for the first time and realized they were decrepit and could not possibly bear a train. No train would ever be coming along those tracks and I could linger as long as I like quite safely. Once that was established, the opportunity to really open up my mind to some serious questions availed itself and it was not long before the whole house of cards came tumbling down. Indeed, once I had my Julia Sweeney moment, the whole ordeal was over in a matter of minutes. I was through with God instantly as I realized that the whole game was a farce. There was no desire at all to cling to a false god for comfort. I simply set god aside and moved on. It is probably hard for someone who has never believed in god to understand this defining moment for a new atheist. Ironically it is very much like the term that Christians use to describe their own conversion experiences: like being born again. Born into life again, only this time recognizing the world that you are born into for what it is. When I look back now on the years that I actually believed a god was there listening to prayers, intervening in human lives, meddling with nature and so on, I almost feel embarrassed that it took me so long to overcome. Yet, the relief that I haven't gone through my whole life that way is overwhelming. How close I came to wasting the only life I will ever have. The reasons why religion is so very difficult to overcome for someone who has been properly indoctrinated are very interesting and belong elsewhere in another post. Ultimately I have come to a point where my position towards religion is that the onus is firmly on religion to show evidence of its truth. Now that I have recognized that personal experience is not evidence, and that there really is no objective, verifiable evidence for god, there is simply no reason to try to believe in any religion anymore. Reason is the the key word in that statement. Religion for me has become wholly unreasonable. And this has been confirmed in conversation after conversation with Christians who try to convince that their religion is true, yet often stretch the boundaries of reason to do so. Most (not all) Christians that I now encounter seem less interested in really finding out the truth, but rather in defending their faith no matter the cost. Even if the cost is reasonable, rational, logical thought. I have chosen, so far, not to share my position of atheism with my family. It might seem strange not to be completely open about it, but there are a number of reasons I have done so. Firstly, I feel no obligation to inform people in my family what my religious position is. If they assume that I hold the religious beliefs of our childhood, then that is their assumption and a wrong one at that. I feel no obligation to correct assumptions about myself. Secondly, I feel that it would be futile to discuss the issue with people in my family as it would likely only lead to endless conversations and attempts to procure my reconversion to Christianity. Thirdly, I am a bit afraid of hurting some members of my family, such as my parents. They would be quite devastated to discover I am an atheist and, since they are quite old, I prefer not to cause them that stress. Occasionally I feel a bit dishonest not sharing the fact that I have left the religion of my upbringing, but then I remind myself that I also make no major attempt to hide it. If people make assumptions based on what I believed (or more correctly was indoctrinated with) as a child, then so be it. It would be easy to be bitter at my parents for the years of my life they essentially took from me by indoctrinating me with false beliefs. And indeed, I do resent the religion as a whole if I am honest with myself. I resent the institution of Christianity for the horrific things it does to innocent childrens' minds. But, I also recognize that my own parents were acting in the way they thought was best for me. I can make amends by teaching my own children to question everything, especially the things I teach them. The truth will always stand up to their questions.